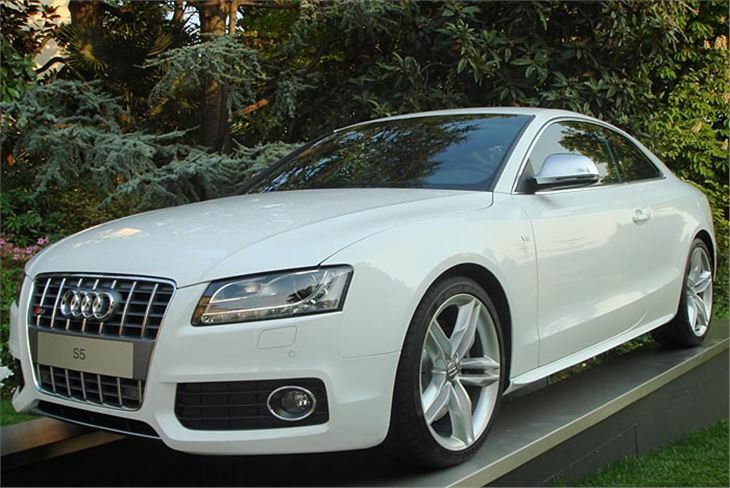 Styled by a team led by Walter d’Silva, the man responsible for the Alfa Romeo 156 and the current SEAT Leon, the Audi A5 has had quite a long gestation. We first saw it as the Nuvolari concept at the Geneva Motor Show in 2003 and it’s taken four years to hone and refine it into the car you see in the photos. D’Silva was given the time because, underneath, the car has the next generation of Audi drivetrain, and that couldn’t be developed overnight. 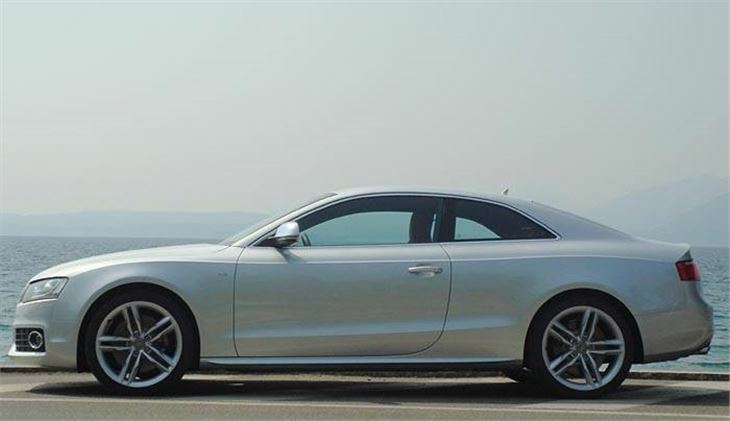 The engine still overhangs the front wheels longitudinally, but the reason why the wheels are much further forward than on past Audis is a completely new transmission in which the final drive sits in front of the gearbox. 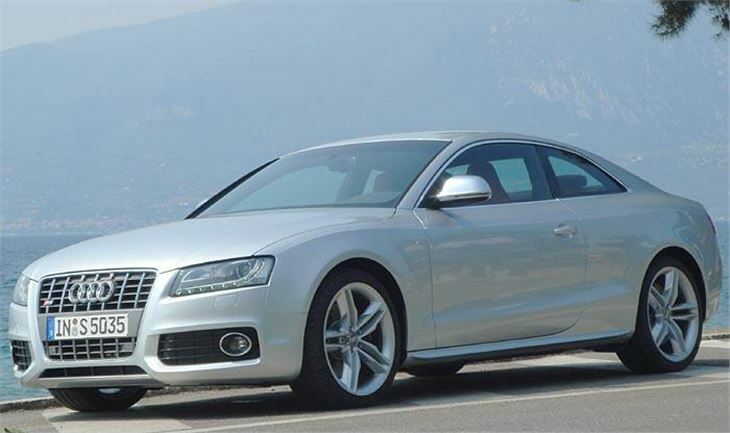 Compare the noses of the A5 and the Alfa Brera or Peugeot 407 coupe, and even though those two are transverse engined, the front wheels of the A5 are much nearer the front. As well as a longer wheelbase than past Audis, the A5 also has much improved front suspension, now 5 link, with a steering rack repositioned in front of the engine so steering input is fed more directly to the wheels. 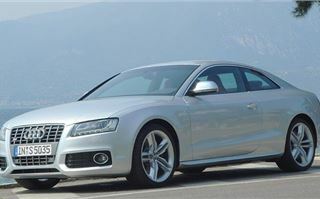 The striking body, complete with Audi’s corporate barbeque grille, is a four seater rather than a 2+2, but though it has a commodious 455-litre boot (with fold down rear seat backrests), it doesn’t offer as much legroom, headroom or general rear seat comfort as the current BMW 3-Series coupe. 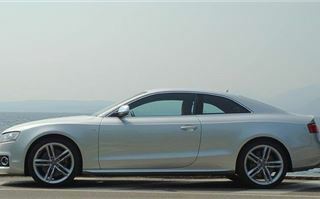 The first A5s in the UK will be a 240PS 3.0 V6 TDI quattro and the 354PS 4.2 V8 S5 quattro. Later, we may or may not get a front-drive 3.2 V6 petrol with 8 step Multitronic CVT, a front drive 2.7 V6 TDI Multitronic, and a new 190PS 1.8 litre supercharged and turbocharged petrol TFSI. The engine sounds wonderful as only a good V8 can. It doesn’t quite have the bark of the RS4, but it still encourages you to give it some beans just to revel in the sound effects. It also lifts up its skirts up with immodest alacrity, getting to 60 in under five seconds. And when you come to a corner it goes round it far faster than common sense says you should be travelling. 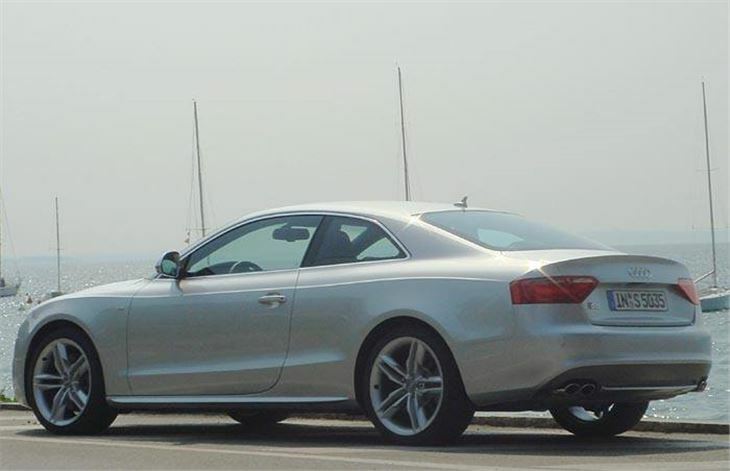 The quattro system responds to prodding your right foot on the apex, just like the S3 and all quattros before. But better front-end weight distribution and balance means there’s far less understeer if you don’t prod, making it a safer car for anyone. 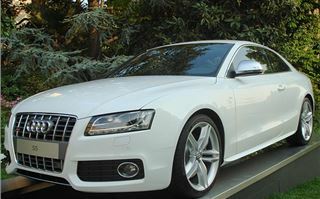 Its Achilles’ heels, of course, are its fuel consumption and CO2 output. 22.7mpg combined (15.8 urban), plus 298g/km CO2 means you’ll pay for your fun in fuel tax and £400 a year VED. 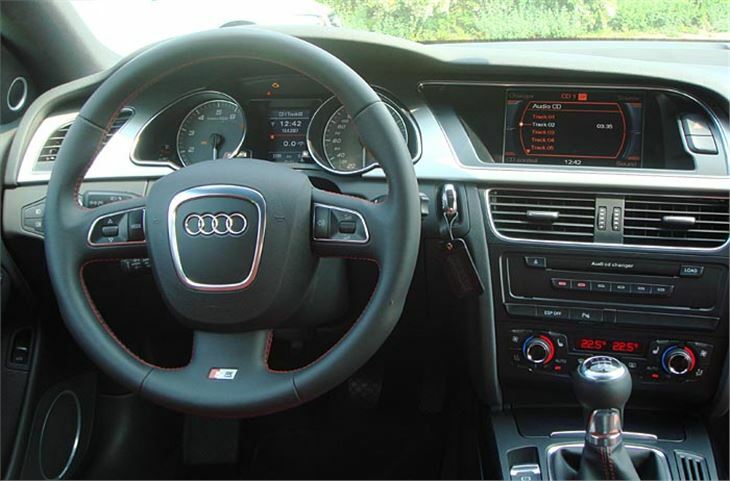 If that bothers you, then you need to know about the 3.0V6 TDI quattro. This doesn’t bellow like the S3. But neither does it sound like a diesel. It simply makes a rather turbine-like whooshing noise as it wafts you to 60 in a very creditable 5.7 seconds, just 0.8 of a second slower than the fire-breathing and consumptive V8. So it isn’t a diesel option you have to choose because you’re too mean to fork out for the petrol and VED of the S3. It’s a really good car in its own right. Handling is the same, with slightly less grip on the 18” tyres of our car, yet lighter steering with a tad more feel. With a phenomenal 500Nm torque (60Nm more than the S5) from 1,500rpm it’s also a very satisfying car to drive uphill. 240PS and 500Nm are impressive figures for any 3.0 litre V6 engine, never mind a diesel. Yet you can still play Dr Hotfoot and Mr Mean because this car offers a theoretical 39.2mpg combined, nearly twice as many miles on a gallon as the S5. And with combined CO2 emissions of 191g/km you’re also safely inside VED Band F so won’t pay more than £215 a year even over 2009-2010. It even has a special twin plate clutch, which Audi’s Mr Clutch tells me is good for at least 80,000 miles. So of the two cars, the 3.0TDI V6 quattro is by far the more practical proposition without seeming to be a poor relation. 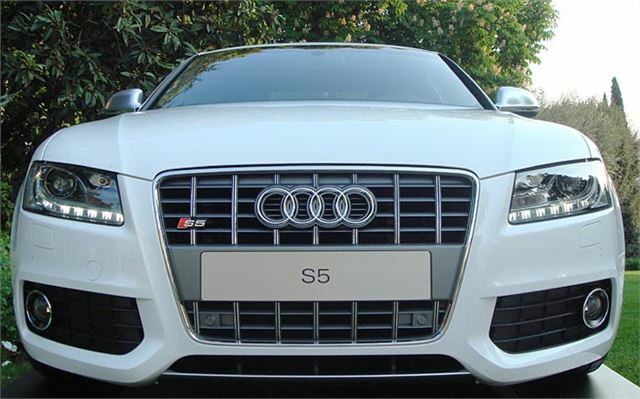 Anyone who has got to have the growl of a good V8 will still go for the S5, of course. 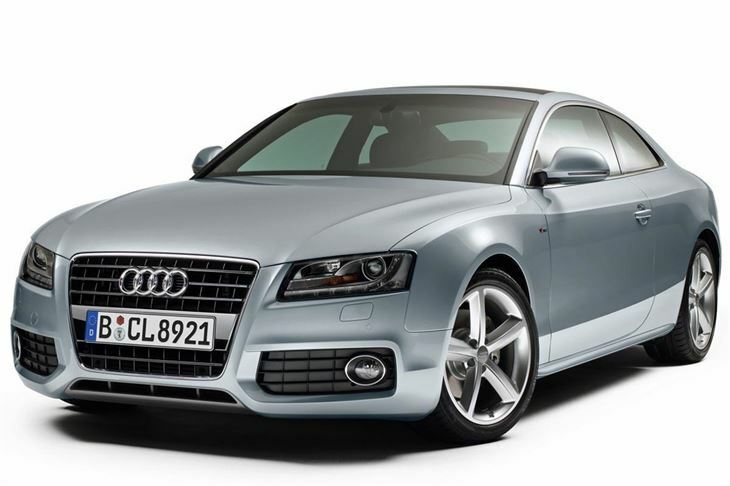 But Audi is going to sell a lot more diesels. Just one fault on both cars: the cable gearshift sometimes had trouble slotting into third, especially during hard acceleration. 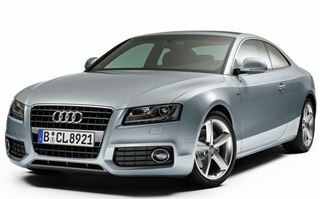 Audi acknowledged this and assured us it just needed tweaking and would be fixed before any cars reached customers. Not a big problem, and easily driven around, but slightly surprising it hadn’t been solved during the car’s four year development.